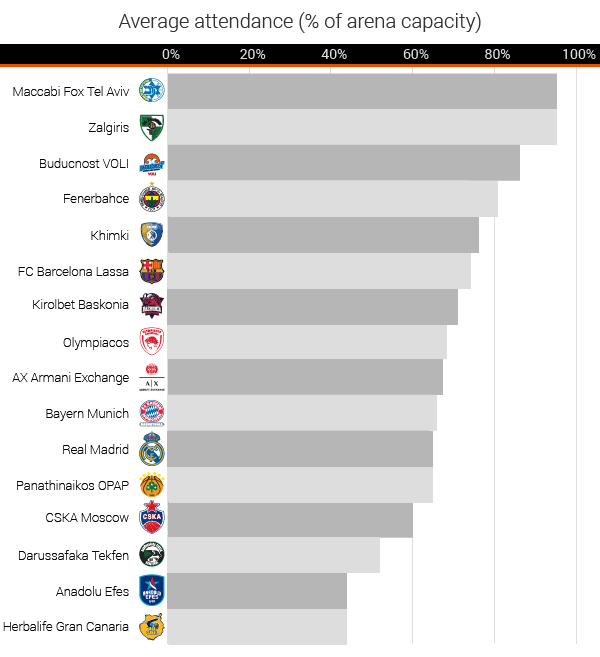 Based on a research conducted by the director of basketball content at RunRepeat, Dimitrije Curcic, Zalgiris Kaunas and Maccabi Tel-Aviv are the most popular EuroLeague teams. The 19th regular season of the most prestigious basketball competition in Europe is over and the EuroLeague is now heading to the Playoffs. Over the last 19 years, the league has faced some important changes, most notably in the organization and format. 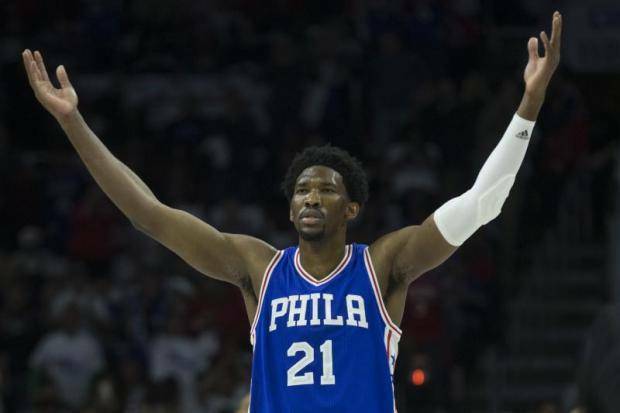 While there is an ongoing debate over the direction where the league is heading to, the reality is that the competition gets more popular year after year. 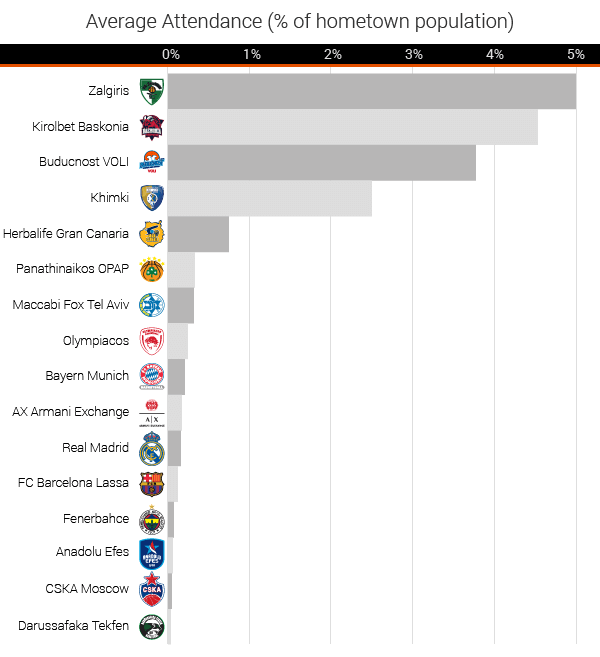 But, how popular are Euroleague teams? While the league’s popularity grows each season, the end of the calendar year is a good time to see how popular the teams that make the league so popular are. Two main criteria were used as a popularity reference in this research – attendance in the home arena and the number of followers on three major social media (Facebook, Twitter, Instagram). 1. Who brings the most fans into arenas? Under league regulations, teams with a long-term license (11 teams possess the license) have to play in arenas with a minimum of 10,000-seat capacity. Associated clubs have to provide at least 5,000-seat arenas. Where are teams standing in term of filling their arenas? While the average attendance is the most used criteria for the attendance rankings, there are a couple of important factors that should be considered relative to the attendance. 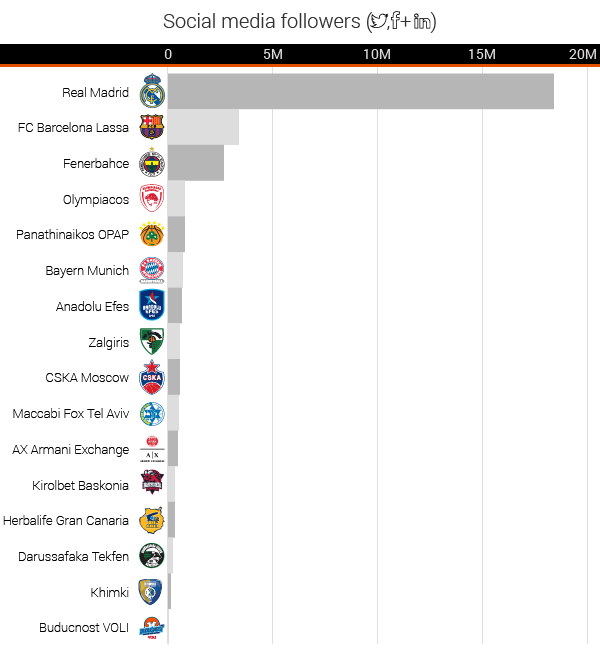 First of all, how successful are Euroleague teams in filling their arena capacities? Shout out to Tel-Aviv and Kaunas! With 95% of their arenas filled with fans every single game, Maccabi and Zalgiris are the leaders of the Euroleague. A returnee to the league after 15 years, Buducnost from Podgorica, stands strong with filling the 87% of Moraca’s capacity on a regular basis. Fenerbahce, the undefeated team on its home court, fills 80% of the arena every game, closing the list of the teams that fill over 80% of the capacity. Khimki, from Podmoskovie, closes the Top-5 with 76%. Barcelona (74,4%), Baskonia (70,5%), and Olympiacos (67%) are the only teams left who gather above league-average 68% of the arena capacity. Let’s take a look at the attendance relative to the population of the team’s hometowns. Judging from the chart above, it’s not a coincidence Lithuania is called the land of basketball. On average, 5% of Zalgiris’ hometown population spends Euroleague nights in the arena. Baskonia fans from Vitoria are following closely with 4.5%, and Buducnost gathers 3.8% of Podgorica’s inhabitants for number three spot. From Podmoskovie, 2.7% of Khimki’s people come to watch Alexey Shved and company. Gran Canaria closes the circle of Top-5 with 0.7% of Las Palmas population in the arena. 2. Who is leading the way on social media? Not every fan of a Euroleague team comes from the team’s hometown. But are there teams whose number of faithful social media follower exceeds their hometown population? Could there be any better proof of why Real Madrid is called the Royal club? With over 18.3 million followers through three major social networks, Los Blancos are the untouchable force of fanbase. Their archrival from Catalonia takes the second place with 3.3 million followers, and number three is reserved for Fenerbahce with 2.7M. Two Greek giants from Athens complete the Top-5 list, with Olympiacos having a slight lead over their biggest rivals. Again, Real Madrid leads the way. The army of Real’s followers could inhabit a city with almost three times the population of Madrid (287%)! Zalgiris is the only team left whose social media popularity exceeds hometown population, gathering 127% of Kaunas population. The two are followed by two more Spanish teams, Baskonia (71%) and Barcelona (68%). Buducnost closes the Top-5 list with 30% of Podgorica’s population equivalent in social media followers. *The research and its findings were conducted by Dimitrije Curcic, Director of Basketball content at RunRepeat. The article was written by Yiannis Bouranis, Chief Editor of TalkBasket.net.